Greetings, Mizzou chatters. I'll be here for the next couple hours to talk all things Tigers. I'll get to as many questions as possible. It has been hard to watch the last two Mizzou games because of all the mistakes and penalties. I was especially disappointed with Albert O last Saturday. He seemed to have penalties at critical times and missed catches I think he should have made. I would have expected him to step up with both Hall and Brown not playing. Am I being too harsh on him or was this one of his worst games ever? He hasn't played up to his potential. The false starts are inexcusable. Lock threw him a catchable ball in the end zone after Albert made a great move to get open, but the pass was out in front - and in the rain. Maybe we expected too much of Okwuegbunam. He was essentially a red-zone receiver last year and has taken on a much bigger role this season. He obviously has the potential to be an impact playmaker, but he's got to be more poised in critical situations. Hi Dave - A few observations about the loss to South Carolina. Special Teams - On the first kick off, Tucker McCann kicks it deep for no return. However, every kick after that was a pooch kick that gave Carolina better field position. Why did he stop trying to kick it deep? Yes - they have Deebo Samuel who is a threat - but he has been very average on kick off returns this year. Do we not have confidence in our coverage? Also, terrible on side kick McCann tried - how can their be confusion between him and Andy Hill on what to do. Next, Drop Balls - Johnathan Johnson dropped two balls for touch downs right in the end zone - Lock made two very good catchable passes. That could have been the game. Who will be our go to receiver going forward? Albert O has great potential but Kendall Blanton can catch the ball. Next, time management after the game delay from rain. After all that time to prepare, they run three plays up the middle and McCann fortunately hits a 57 yard field goal. We needed to get a first down to take time off the clock - Carolina had no time outs. Is that not the time to be using the trick play to get us more time to get closer and run the clock down. Then the last position, we start to drop eight which is not a bad idea. However, we decide to blitz which has not worked all day leaving the middle wide open. Carolina wins. My opinion - our coaches let that one get away. As always, thanks for taking comments. There were a lot of curious decisions in that game, obviously. The botched onside kick was really bad. If anything Missouri needs to make sure the signal for a bloop and an onside kick look nothing the same. Clearly the staff didn't want an onside kick in that situation. I, too, wondered why McCann didn't kick it out of the end zone on every kickoff, but his length on kickoffs isn't always consistent. You run the risk of leaving one short of the end zone then have to cover Deebo on a kickoff. 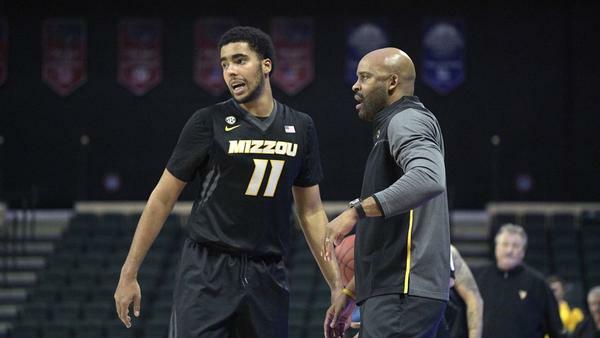 After last year's debacle, Missouri wasn't going to give him any chances to change the game with a big return. I don't fault them for calling the bloops. For the most part, that plan worked. I wouldn't call Johnson's second target in the end zone a drop. Lock put a little too much air on the ball and the defender made a great play on the ball. In fact, Missouri's defensive coaches should show that footage to their corners and safeties on how you disrupt a pass without getting called for PI. The Gamecocks secondary knocked away several catchable passes. MU struggled to make contested catches and on defense struggled to contest catches. That, in my opinion, was the biggest difference in the game. Given that Beckner is pretty athletic for his size, any thought to putting him out on the end on 3rd and long situations to see what he can do given the lack of production from the ends? Also, do you think next year's quarterback is on the roster or could some of these potential transfers like a Kelly Bryant or a Jalen Hurts be good fits? Thanks. 1. They've used Beckner as an end in the three-man D-line in the dime package. Late in the South Carolina game he played almost exclusively on the edge. Now, will they do that on a standard down with a four-man line? Doubtful. His quickness gives him an edge against a guard or center but probably doesn't give him much advantage against a tackle in space. But Missouri has a defensive end problem. The guys they have can't get off blocks. If the problem persists, and the depth at D-tackle remains strong, they might have to consider this option. As for the 2019 QB situation, Missouri wants to explore the transfer market. That doesn't mean they won't consider one of the current backups, but whether it's Bryant or Hurts, they probably make more sense for Mizzou than Mizzou makes sense for them. But it also depends on what they're looking for. Do they want to win a national championship? Then Missouri's probably not the place. Do they want to train for the NFL? Do they just want to start? Do they want to play closer to home? A lot of unknowns right now. Follow up to the flooding of the Hearnes Center. What is the building currently utilized for in terms of Mizzou athletics? What do you see as its future use (or not) moving forward, especially in light of the athletic department's current financial situation? Also, glad to see Roy Williams has taken up a second career as a stand-up comedian. Of course, he knew nothing about the cash payments to his athletes. Sounded like Sgt. Schultz in Hogan's Heroes. Of course, Williams has a right to his feelings. Enough, Roy, enough. The Hearnes is home for Mizzou volleyball, indoor track, gymnastics and wrestling. It's also home to lots of offices for athletic department employees. Those teams need an Olympic sports arena to host their events separate from Mizzou Arena, and there's really not a lot of real estate to build something new other than the spot of the current building. So where do you house those teams while you build a new facility? That's the challenge. Also, the bigger one: Who's going to pay for it? MU tapped out its biggest donors for the South End Zone complex. And remember, that project isn't fully funded by donors. The university is paying for a chunk of the costs, which athletics will repay through suite-generated revenue. So, for now the costs of building a new facility would be the biggest issue. Until then, they'll pay to maintain Hearnes. As for Roy, he should probably sit this one out. Die Hard fan here...was there any explanation by the coaches or players as to why we could not handle any adversity whatsoever? What does the team lack? Coaching? Player leadership? There is no way that the game at SC should have went the way that it did? First off, thanks for the questions and comments. Second, though, as bad as that third quarter went for Missouri, I thought they showed some resiliency by getting back into the game considering the circumstances. After Lock's awful INT returned for a touchdown, the Tigers outscored South Carolina the rest of the game in the fourth quarter. Mizzou's special teams blocked a punt when the Tigers absolutely needed to flip momentum somehow. MU got points off the block. Lock threw a great ball to Kam Scott but credit the South Carolina defender for somehow coming up with the ball along the sideline. Still, even after the multiple delays, MU went back in front on the 57-yard field goal. It's completely fair to criticize Mizzou's defense for the final defensive possession. It seemed like the defense thought USC needed a touchdown to win, not a field goal. They were way too nonchalant in coverage. But, I did think Missouri showed some backbone in not letting that third quarter tilt the game in USC's favor for good. The Gamecocks had to fight back to win. Dave, thanks for your great coverage of MU sports. To me, it is painfully obvious what is wrong with this football team. While the defense is quite good against the run so far, there is little to any pass rush. The SC QB, the Georgia QB and the Purdue QB were not made to feel the least bit uncomfortable in the pocket, and we saw the ugly results. I expect more of the same at Bama on Saturday. A good pass rush can make up for a multitude of sins in the secondary. We saw that was true most recently when we had guys like Kony Ealy, Shane Ray and Michael Sam to put heat on the QB. Odom and his defensive staff have to find a way to pressure the passer, or we are going to be in a lot of shoot outs for the rest of the year. Your thoughts? Actually, the defense got to the QB several times in the USC game. They weren't getting sacks, but there was pressure in that game. But not from the D-line. They blitzed the linebackers and sometimes a safety or corner regularly in that game, especially on third down. Cale Garrett got to the QB regularly to at least force a quick pass or knock Scarnecchia off his spot. That's not ideal. You leave yourself vulnerable on the back end or underneath when you have to blitz like that, but at this point, it's their only option to create pressure. The ends aren't getting it done. This was a major concern going into the season and remains a major concern. The secondary isn't good enough to make up for that lack of push up front. Any Santos update on his injury? Nothing new. I'm sure Martin will address it next week at SEC media days. What's up with Albert O this year? Sophomore jinx? Too many mental mistakes and too many plays not made this year that he made last year. What do the coaches say about it? I touched on this earlier. He has a bigger role this year, bigger expectations - and he's making mistakes they can't afford a trusted playmaker to make. He's an exceptionally conscientious player. I'm sure he's taking those mistakes hard - and maybe that's making him struggle more. But I wouldn't give up on him. He's really talented. I don't care what anyone else thinks, I know that Mizzou wins at SC last week if they don't reverse that Crockett TD. I froze it with a 65" HD TV and it was clear that you could still see green (grass) between his foot and the white sideline. The call should have stood and to reverse it was unjustifiable and should surely be looked at by those who keep the game fair. I was really surprised they overturned the call based on the replay available in the press box. Maybe the replay officials have a better angle, but to me I didn't think there was indisputable visual evidence that he was out of bounds. That said, it was still first and 10 from the 11 - not back at midfield or in MU territory. With an All-SEC QB and tight end and veteran O-line and three good running backs, you should score a touchdown there regardless of the overturned call. Why didn't McCann just boom the ball out of the end zone last Saturday, instead of trying all the pooch kicks? He's capable; been doing it all year. That cost us precious field position. I think Barry and his staff over thought that piece of strategy. He hasn't been doing it all year. He can kick it out of the end zone, but he hadn't been doing that every try. His touchback percentage going into the USC game was 63 percent. You leave it short inside the 5 and you're tempting Deebo to return it - like he did last year. If McCann was more consistent on his kickoffs, you trust him every time and forget about the bloop kicks. But his body of work shows he's not always putting it into the end zone. Does Odom have any kind of consequence for personal foul penalties like Crockett’s during last week’s game? It really hurt the team at a crucial point. Maybe he had to listen to a lot of trash talk throughout the game, but shouldn’t he be able to keep his cool? What is Odom’s view on stuff like this? He certainly doesn’t take players out of the game as ‘punishment’. I'm not aware if there's an internal penalty for something like that. That was a classic case of the guy who retaliates draws the flag. South Carolina's Keir Thomas chopped at Crockett's arm after the whistle and knocked the ball out of his hands. Crockett slapped back and hit him in the facemask and drew the flag. Thomas tried to hit Crockett back but teammates grabbed his arm. Credit the USC teammates on that one. Otherwise it's offsetting penalties and Mizzou isn't pushed back 15 yards. Dave - Do you believe the South Carolina game was a watershed moment in Odom's Mizzou coaching career? No. I mean, how can anyone know that without seeing the future? Is Barry retained at 7-5? What are you expecting from basketball team? Will there be a newspaper preview soon? NCAA seed? Newspaper preview? You mean stories about the team? We had some coverage last week. No access this week, and I won't be at SEC hoops media days next week. But we'll have lots of coverage before the first game Nov. 6. This should be an NCAA Tournament team again and push for 20-plus wins. The SEC is deeper than ever. Won't be easy. But that gives you plenty of chances for valuable RPI points. Should be a fun season. stltoday.com: Which rookie has impressed Mizzou staff? Geist gets the point; Puryear slims down; Guess catches on. Was that really an onside kick? Who does that on the second possession of the game? Could McCann have asked for clarification on that call? I know, you have to follow your coaches, but maybe a little more head in the game there? I have always been an Andy Hill fan, but our special teams have not been so special. But, kudos to the kid for the monster FG! Odom has insisted it wasn't a called onside kick. McCann misread the signal from the sideline as they were trying to figure out where Samuel was lined up. Dave - With the way thinks are going for our team, it looks like more of a 6 and 6 season with Kentucky and Florida playing top 25 football. Yes Tennessee is bad and Arkansas is not much better. However, if we are to get to a bowl, we have to fix or band aid our defense. They started off great against Carolina - our linebackers have very good. We let a red shirt senior who had only completed 6 passes through out his career beat us. I credit Carolina's offensive line, but no rush from the edges. Is the defense fixable to make a run the second half of the year? Last year's defense got much better in the second half of the season - when the schedule got easier - but at any rate, they were able to pressure QBs better and make more plays in the secondary. But last year the staff started working in more young players and got more creative with their sub packages. This defense can't get much younger at the spots where guys aren't producing. And they already use their sub packages a lot. They have to create more of a rush up front and be more disruptive in the secondary. There's no magic fix. You might see more Christian Holmes and Jarvis Ware at corner. The two young safeties, Bledsoe and Gillespie, got more snaps at South Carolina and showed some flashes. The front seven is genuinely good against the run. But in today's game you're going to face a lot of passes. I don't know if there's enough bandaids to fix that part of the defense. Dave - Then your opinion is that we are don't have physical receivers (that are healthy) that can catch balls with physical defenders? And, our D-backs are not physical to strip the ball? Basically, we are not a physical team. At those positions, yes. But Missouri is physical along the line of scrimmage, in the run game and at linebacker. The guys who played wideout at USC didn't show much fight for the ball. You're going to have to absorb contact in the red zone on those underneath routes. They lost those battles in that game. Missouri's DBs usually put themselves in position to make a play on the target, but hardly ever disrupt the pass. And it has nothing to do with how they line up 30 yards off the receiver at the line of scrimmage. Missouri plays its share of press-man coverage. It's all about how they contest the ball when it's in the air. They're too passive. They're in position to make a play and rarely do. Last year Acy was called for a ton of pass interference penalties. Maybe that got in his head and he's trying to finesse his way to the ball. Odom brought up a good point this week that the secondary hasn't been called for PI all season. That reflects how they're not disruptive enough. Is Mizzou going to be able to do anything about the TV for the ISU basketball game? Right now it looks the only option is to pay like $8 for the day access to the ISU tv thing. I'm not sure about that. But this is another reason Missouri got out of the Big 12. The Big 12 could never get its act together and form a conference network. 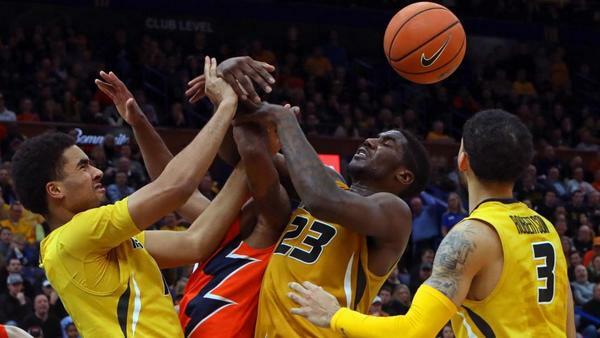 Missouri fans don't have to subscribe to a third-tier in-house network to watch their home hoops games. I constantly hear talk about Walters being such a good coach etc. Well in my opinion if you're a really good coach, your players play well. Walters is DC and has also been in charge of the corners and safeties since he's been here. They keep getting touched every year. This year bad against two backup QBs!!! I know there is the whole no pass rush excuse, but I'm sorry it's not like these QB's are standing back there for 5 seconds and throwing the all the time. I think we need someone new. What are your thoughts on that situation or what might happen?